A waiting room or reception area is a space that defines a business or practice. It should be attractive, comfortable for potential clients and visitors and welcoming. Along with a beaming receptionist, comfortable, ergonomically-designed waiting room chairs are central to creating a favourable first impression. Stackable, elegant and customisable – Ideally, you want lobby and reception area chairs that are lightweight, stackable, and easy to move around. They should be elegant, understated, and available in a matching set that can be customised to blend in with the office décor or corporate branding. Office chair manufacturers in South Africa have purpose-designed ergonomic seating for lobbies, waiting rooms, and reception areas. Contoured backrests, drop-down edging, and extended armrests are integral to the design. Affordable – Maximising the comfort and support of existing and potential clients doesn’t have to cost a fortune. Locally produced and assembled reception area chairs are surprisingly affordable. K-Mark specialises in manufacturing best quality office chairs tailormade for waiting rooms, lobbies, and reception areas. We offer a five-year guarantee on all our products. We use locally produced materials and techniques to deliver high-end seating solutions that can be customised to your business or corporate requirements. Our classic midback kit chairs provide a touch of class to any reception area. They’re modern, stylish and sophisticated. Padded, ergonomically designed backrests; contoured seats, and looped armrests provide enhanced comfort and support. This K-Mark classic is the perfect fit for the reception areas of law firms, specialist medical practitioners, and blue-chip companies. Modena stacking chairs by K-Mark offer simplicity in design. They’re functional, durable and lightweight. A contoured black mesh backrest, fitted armrests, and sloping seat with waterfall edges, provide optimal support for the lumbar region, arms and upper thighs. Easy to move and store, Modena stacking chairs have an air of modern elegance. They are designed to fit in to any office reception area. 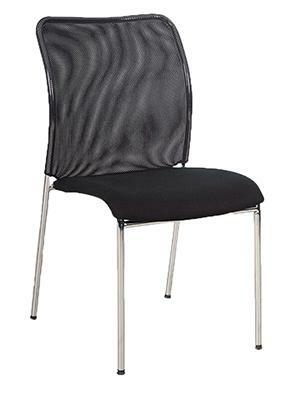 Mesh Modena side chairs are mod, minimalistic and easy to stack and pack. A gently sloping backrest in breathable mesh is designed to aerate the body, and support the spine. Along with the other Modena waiting room chairs, mesh side chairs are cool, comfortable, and feature a conveniently wide seating stance. 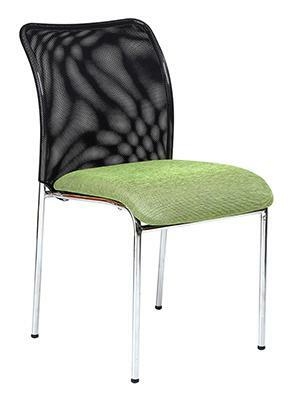 Our fabric Modena side chairs have a fine mesh ergonomic backrest and standard upholstered seating that can be customised to match company branding. 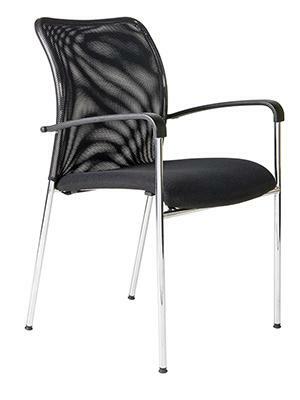 They’re stackable, attractive to the eye, and have the wide, spacious profile of all our Modena reception area chairs. 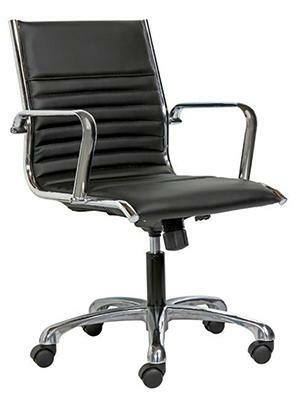 Call us at K-Mark on 021 555 2039 to discuss your office chair needs, and we’ll be delighted to assist. 10 Popular Productivity Tools for 2019: Which Are You Using Already?